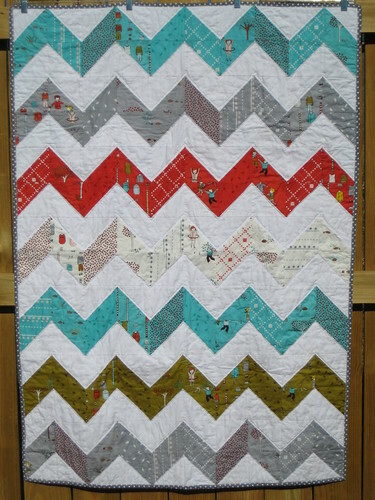 Well this week I finished an adorable zig zag quilt. Since I don't have any particular owner or receiver of this quilt I decided to post it on Etsy and see what happens. I really like the fabrics especially some of the subtle images within the fabric. There are turtles eating apples and little hedgehogs and an adorable yellow peacoat. Check out my flickr for a bunch more pictures of this quilt.